During the months of May, June and July, the Author Travels blog will be honoring U. S. military veterans. All of these vets are authors (some published, some not), but they are my sisters in arms and visiting with them to learn about their life journeys is the best way I know to say thank you to some very special people. Please welcome our first veteran visiting author, Diana Cosby (USN Ret.). 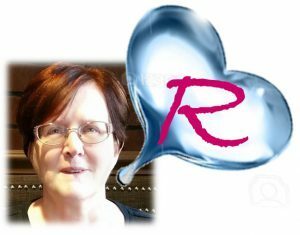 Thank you so much, Rue, for having me as a guest on the Author Travels blog. You are most welcome, Diana, and thank you for answering questions about your life and careers for our readers. Q: What moved you to enlist in the Navy and stay until retirement? A: With my dad retiring from the Navy, I grew up a military brat, which meant continual moves during my youth; I’m currently on move #34. As I neared graduation, I wanted to continue to see the world, and I joined the Navy as a meteorologist/oceanographer. I enjoyed the travel, meeting so many incredible people, and forecasting weather, so I decided to make the Navy a career. Q: Would you recommend enlisting to high school graduates today? Why or why not? A: I believe a tour in the military should be a venue considered by anyone preparing to graduate. In addition to exposure to different cultures along with travel, military training provides a solid decision making foundation that will serve a person throughout their life. Q: While living in Europe you acquired an interest in the middle ages. What place or part of European life sparked that interest? A: I had the sincere pleasure of a tour in Rota, Spain. The culture, and people, and rich history were incredible, and it’s one of my all-time places to have lived. My interest in the middle ages was sparked by a combination of my experience while living in Spain along with traveling through Western Europe. Q: Are you bothered by ‘inaccuracies’ in historical fiction (or any other type of fiction)? Or do you concur with those who claim, ‘Accuracy is unimportant in fiction’? A: When I write my Scottish medieval romantic suspense, I work hard to ensure any historical events mentioned are true to the best of my ability. Q: You are very involved in a number of charitable causes including The National Trust for Scotland, Habitat for Humanity, the Semper Fi Fund, Homes for Our Troops, and The Navy SEAL Foundation. You are definitely leading by example. Please tell us about one of your favorite charities and how we could get involved. A: Giving back is important to me, and I’m honored to share that I’ve joined with Habitat For Humanity for, Diana Cosby’s Romance Reader’s Build A Habitat For Humanity Home. This fundraiser is an amazing opportunity for romance readers to join together to give a deserving family more than just a home, but provide a foundation on which to start their future and build their dreams. Goal: Raise $55,000 to build a Habitat For Humanity Home. Now—$7,600! Exciting news: We’re only $6260 away from having enough to build two bedrooms and a bathroom! Q: Do you think fictional characters should be involved in similar efforts? How might that enhance or detract from a reader’s enjoyment of a romance? Q: Please tell us about your most recently released book, how we can purchase it, and how we can leave a review. A: Fascinated by the Knights Templars, I was thrilled at the opportunity to write The Forbidden Series. After hundreds of years, many questions remain of where the Templars fled, what treasure they took, and how were so many valiant knights able to disappear without a trace? In The Forbidden Series, I weave my character’s journey, where they face challenges, and in the end fall in love, around these questions and more. A Knight Templar, Sir Stephan MacQuistan desires no bride, only vengeance for a family lost and a legacy stolen. A profound twist of fate tears apart the brotherhood he loves, but offers him an opportunity to reclaim his legacy – Avalon Castle. Except to procure his childhood home along with a place to store Templar treasures, he must wed the unsuspecting daughter of the man who killed his family. To settle old scores, Stephan agrees while aware Katherine is but a pawn in a dangerous game, not a woman he will ever love. *Reviews are always deeply appreciated, and your comments can be left where you purchase my story. Thank you very much for taking the time to participate in my 3 month thank you to the military veterans. Rue, thank you for inviting me as your guest. I thank you for your service to our country. And, another thanks to your readers for stopping by. Take care, and I wish each of you the very best. Diana Cosby, AGC(AW), USN Ret. A retired Navy Chief, Diana Cosby is an international bestselling author of Scottish medieval romantic suspense. Books in her award-winning MacGruder Brothers series are translated in five languages. Diana has spoken at the Library of Congress, Lady Jane’s Salon in NYC, and appeared in Woman’s Day, on USA Today’s romance blog, “Happy Ever After,” MSN.com, Atlantic County Women Magazine, and Texoma Living Magazine. After her career in the Navy, Diana dove into her passion – writing romance novels. With 34 moves behind her, she was anxious to create characters who reflected the amazing cultures and people she’s met throughout the world. With the release of the third book in The Oath Trilogy and the e Box Set of the MacGruder Brothers series, she is now preparing for the release of the first book in The Forbidden Series, Forbidden Legacy, on 16 August 2016! Diana looks forward to the years of writing ahead and meeting the amazing people who will share this journey. After a review of several websites, I probably know more about porridge than I could ever want to know. Nonetheless for your benefit and that of my characters let me share what I learned. First, for those travelers who might imagine I’m writing about oatmeal allow me to clarify. Porridge and oatmeal are not exactly the same thing. Oatmeal is a porridge made from oat grain. 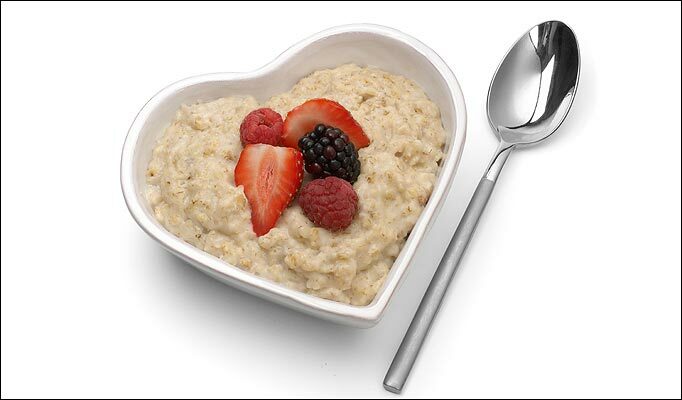 Porridge is made from any type of cooked cereal grain. Thus in Northern Scotland during the late 13th century—the time when the book is set—barley is the most likely form of porridge since that grain was the most easily grown in highland soils. Oats are a close second in Scotland and much more likely in England where arable land is more plentiful. Fortunately the scene I’m writing doesn’t require that I specify which grain is used. However, the differences noted above would imply that the step-mother’s offering would be made from oats, whereas a Scottish porridge during this time might well be made from barley or a mixture of available grains. You can read more about this at http://www.buzzle.com/articles/porridge-vs-oatmeal.html. Superstition has it that Scottish porridge should always be stirred clockwise – and preferably with your right hand – otherwise the Devil will come for the person doing the stirring! Porridge could well have been the worlds’ first ‘take-out’. Centuries ago, an authentic porridge recipe such as this one would be used to cook up a big pot and what wasn’t eaten for breakfast would be poured into ‘drawers’ or another container and allowed to cool. Once it was cooled, the porridge could be cut up into slices or blocks, wrapped, and taken along on the days’ work to be eaten for lunch, dinner or a snack! Do you have a porridge story or recipe you’d like to share with your fellow travelers? Can you identify the building in the featured picture of this post? Please leave a comment and share, this blog is for all who read romances or love to travel. Hmmm! With all the changes going on here (see the new blog title and header image) what do you say we add a little fun. Instead of putting a caption on the header image (which will change as we travel), I’d like you to guess what the image depicts. I’ll announce the answer just before we move to the next stop on our travels.